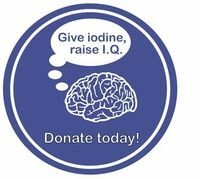 Iodine Global Network (IGN) - 1. What is iodine? 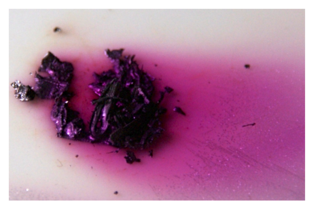 Iodine sublimates to a purplish vapor. It is present in fairly constant amounts in seawater but its distribution over land and fresh water is uneven. Deficiency is especially associated with high new mountains (e.g., Himalayas, Andes, Alps) and areas of frequent flooding, but many other areas are also deficient (e.g., Central Africa, Central Asia, much of Europe). Iodine is an essential component of the hormones produced by the thyroid gland. Rich natural sources of iodine are marine sponges and seaweed: they have been used as a cure for goiter (enlargement of the thyroid gland) since ancient times.